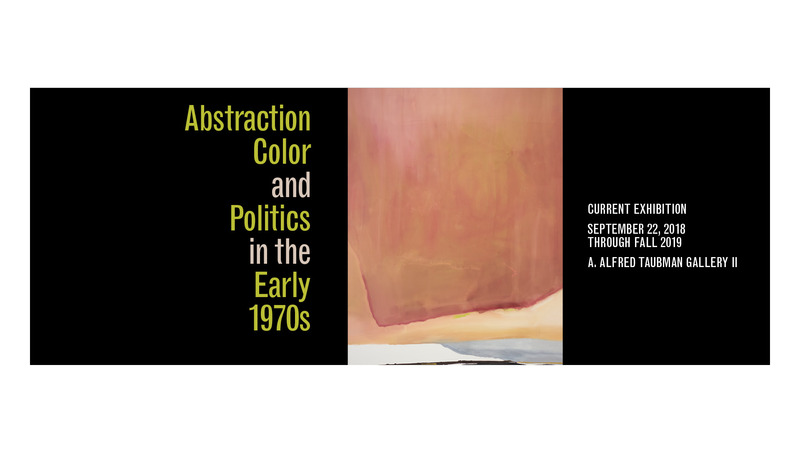 Abstraction, Color, and Politics in the Early 1970s explores large-scale works of art by Helen Frankenthaler, Louise Nevelson, Sam Gilliam, and Al Loving, within the context of highly-charged debates of the early 1970s about aesthetics, politics, race, and feminism. This exhibition explores the gendered and racialized terms upon which great art was defined and assessed, and the strategy of artists to question the identity and aesthetics of the artist making the art. UMMA docents will help visitors look through the lens of the four artists’ works to explore the aesthetic choices inherent in abstraction as well as the acts of staining, pouring, draping, —or even taking apart the wall itself—within this charged political context. Join us for a close up look at the collage art of contemporary artist, Mark Bradford. Using paper, interesting materials, and surprising techniques we will create abstract landscapes or cityscapes. The workshop begins with a tour of UMMA's gallery of Modern and Contemporary art, followed by a hands-on workshop with local artist, and UMMA community Docent, Susan Clinthorne. Designed for families with children of ages six and above. Parents must be present during the workshop. 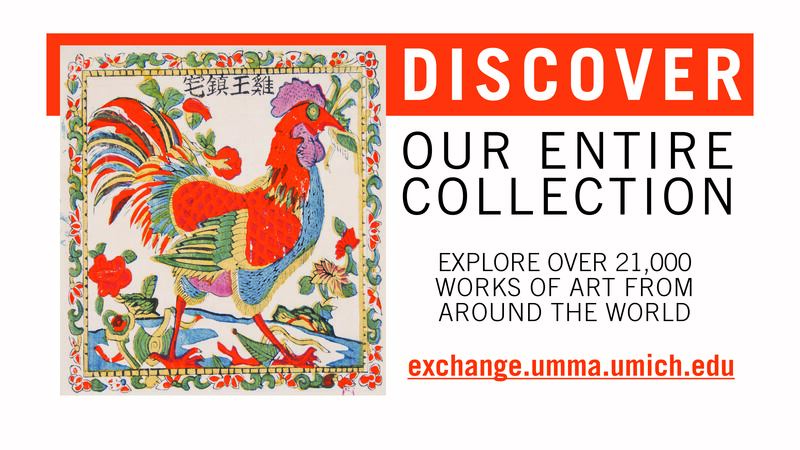 UMMA is working with the Neutral Zone to bring young minds, talents, and interpretations to the table in response to UMMA's exhibition of The World to Come: Art In the Age of the Anthropocene (April 27 - July 28, 2019). High school students, working with Neutral Zone resident artist, Sajeev Visweswaran, will create multicolored serigraphy poster images in response to this exhibition. Students working in different media such as music, video, and poetry are also invited to create work. Themes from the exhibition that will prompt the student's work will include environmental devastation, justice, and action. All works created as a result of this partnership will be on display at the 37th Potential Exhibition, opening at the Neutral Zone on April 27 and on view through May 1, 2019. The 37th Potential Exhibition, Washtenaw County Juried Teen Art Competition, opens at the Neutral Zone on Saturday, April 27, 5:30 - 7 p.m., awards Ceremony at 6 p.m. This year's exhibition juried by Jennifer Friess, UMMA's Assistant Curator of Photography. Gallery hours: 4/29 - 5/1, 12 - 6 p.m. Free and open to the public. The Neutral Zone is located at 310 E. Washington St. in Ann Arbor. Please contact Mary Thiefels (thiefels@neutral-zone.org), Neutral Zone Visual & Media Arts Manager, for more information. ​Participate in the ancient practice of yoga in the beautiful surroundings of the Museum of Art. This will be gentle yoga, especially appropriate for students in the throes of exams, led by a U-M RecSports teacher. All levels and community members welcome. This event is free but registration is required. Registration will open in March. Please bring your own yoga mat. Meet Me at UMMA invites people with mild memory loss to enjoy a guided gallery experience along with family members or care partners. This program is designed for people who live at home and their companions. If you or someone you care about is experiencing mild memory loss, research has shown that the visual and expressive arts can be good for your mind. In addition, great enjoyment is to be found in seeking out the sights, sounds, textures, and good feelings that come with looking at, learning, and sharing feelings about paintings, music, and other creative arts. 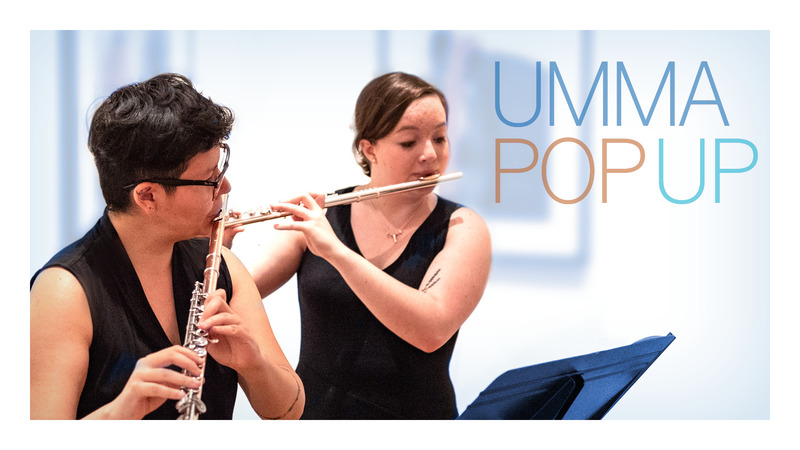 UMMA's trained docents will accompany small groups for a guided tour and provide the opportunity for everyone to experience different kinds of art and share their responses. What role do artists play in visualizing the Anthropocene, our current epoch of rapid and often-destructive ecological change? Using photography, video, drawing, and sculpture, the forty-five international artists in The World to Come respond to the impact of climate change around the globe. Join UMMA Assistant Curator of Photography Jennifer Friess for a discussion about how the artists on view reimagine humanity’s relationships with each other and the environment in the world today and to come. Author Mary Gabriel's recent book Ninth Street Women: Lee Krasner, Elaine de Kooning, Grace Hartigan, Joan Mitchell, and Helen Frankenthaler: Five Painters and the Movement that Changed Modern Art is set amid one of the most turbulent social and political period of modern times and tells the story of five women who dared to enter the male-dominated world of twentieth-century abstract painting. Gabriel will give a reading on the occasion of UMMA's exhibition Abstraction, Color, and Politics in the Early 1970s. 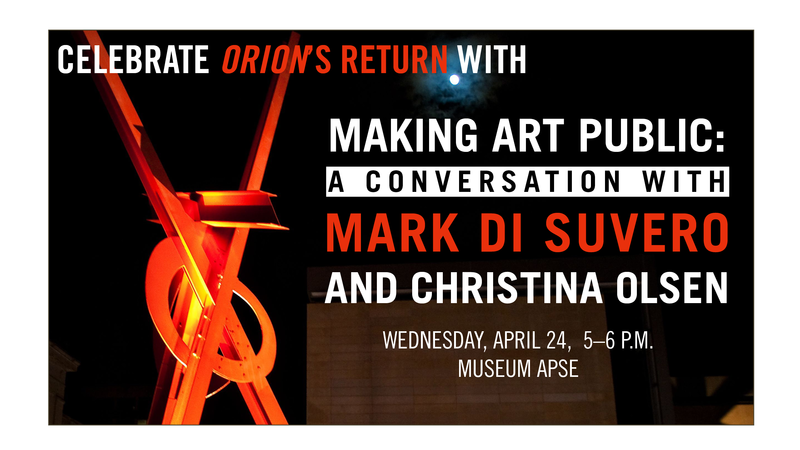 She will be joined by exhibition curator and UMMA director Christina Olsen for a conversation about abstract art, the time, and the lasting impact of these artists. The UMMA Book Club: Art, Politics, & Ideas, a partnership with Literati Bookstore, will read Ninth Street Women for the Thursday, May 9 discussion at 12 p.m. Click here for more information. The Art, Ideas, & Politics Book Club is a partnership between UMMA and Literati Bookstore in connection with UMMA's exhibition Abstraction, Color, and Politics in the Early 1970s. Surrounded by the large-scale artworks by Sam Gilliam, Helen Frankenthaler, Al Loving, and Louise Nevelson, we will read and discuss bold and critical voices—both fiction and nonfiction—guided by Literati Bookstore's Creative Programs Manager, Gina Balibrera Amyx. Books will explore visions and critiques relevant to abstract art as well as the immense social changes of the period, and include Soul of a Nation: Art in the Age of Black Power (Jan 10), Art on My Mind, Visual Politics by bell hooks (March 14), Ninth Street Women by Mary Gabriel (May 9), Flamethrowers by Rachel Kushner (July 11), and How We Get Free, edited by Keeanga-Yamahtta Taylor (Sept 12). Gina Balibrera Amyx is the Creative Program Manager at Literati Bookstore, and a graduate of Zell MFA Program. Her writing has been featured in the Boston Review, Ploughshares, Michigan Quarterly Review, and The Wandering Song, an anthology of the Central American diaspora. The Art, Ideas, & Politics Book Club will meet on the second Thursday of the month, 12-1 p.m. in the exhibition gallery. Pick and choose or come to all of them. Books will be available for sale at Literati Bookstore as well as after book club meetings at UMMA, at a 15% book club discount. On the occasion of the UMMA exhibition The Six Sense of Buddhism, please join us for a Japanese tea ceremony at UMMA. Tea was valued for its medicinal and stimulating qualities, and was used daily by Buddhist monks to aid in a lifestyle that combined physical activity, intellectual expansion, and contemplation. In 16th-century Japan, the use of tea was cultivated into a refined and spiritual practice in its own right. Chanoyu, or commonly known as the Japanese tea ceremony, requires paying meticulous attention to all aspects of a carefully orchestrated environment: the sight of flower arrangements and calligraphy; the sound of water boiling; the warmth of the tea bowl; the smell and taste of the tea. Join the sensual afternoon of Chanoyu demonstrated by local practitioners of the Urasenke Konnichian, one of the three main tea schools in the lineage of the famous master Sen no Rikyū (1522–1591). Buddhist practices engage the senses. Incense wafts through the air: smell. Sculptures and paintings dazzle your eyes: sight. The ringing of a bell calls to you: sound. The stimulating flavor of tea passes over your tongue: taste. Silk brocade slides against your skin: touch. And all of this is brought together in your mind: thought—the essential sixth sense in Buddhism. Join Susan Dine, 2017-18 Mellon Curatorial Fellow and curator of the exhibition The Six Senses of Buddhism for a conversation about the complex roles of the senses in the Buddhist journey towards enlightenment through objects on display. Celebrate Mother’s Day with a short, docent introduction to an exceptional hand-dyed and hand-woven kimono. Fashioned in the Amami islands of Japan, Oshima Tsumugi silk has long been admired for its understated beauty, incredible softness, and comfortable year-round lightness. From pattern design and cotton-thread binding, to over 100 rounds of plant and mud dyeing and weaving, it may take up to one year to complete a roll (bolt) of cloth. This special installation introduces UMMA audiences to one of the ten exceptional Oshima Tsumugi kimono recently donated to the Museum by Kazuko Miyake. 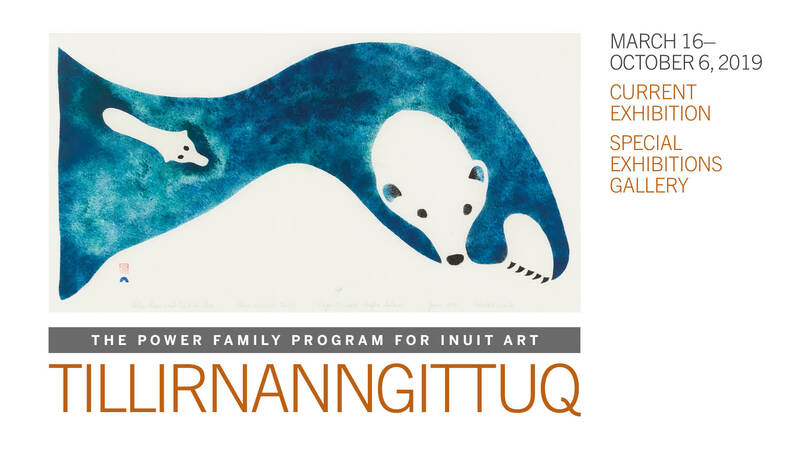 In celebration of UMMA’s new Power Family Program for Inuit Art, the Museum presents a special exhibition of two incredible, intertwining stories. One traces the development of contemporary Inuit art in the Canadian Arctic from the 1950s to the present. The other relates the fascinating story of the Power family’s important role in supporting and promoting Inuit art from the outset, bringing public attention to its artistic strength and cultural importance. The Power family’s collection is unusual in its strong representation of early contemporary carvings, incised drawings on ivory and antler, soapstone sculptures, and prints that evolved as Inuit artists developed their own artistic voices and responded creatively to their changing world. Join Lilly Fink Shapiro, Program Manager of the U-M Sustainable Food Systems Initiative, and Michigan Farmer of the Year, Jerry Ann Hebron of Detroit's Oakland Avenue Farm for a discussion about food waste, farm labor, and the politics of seeds. 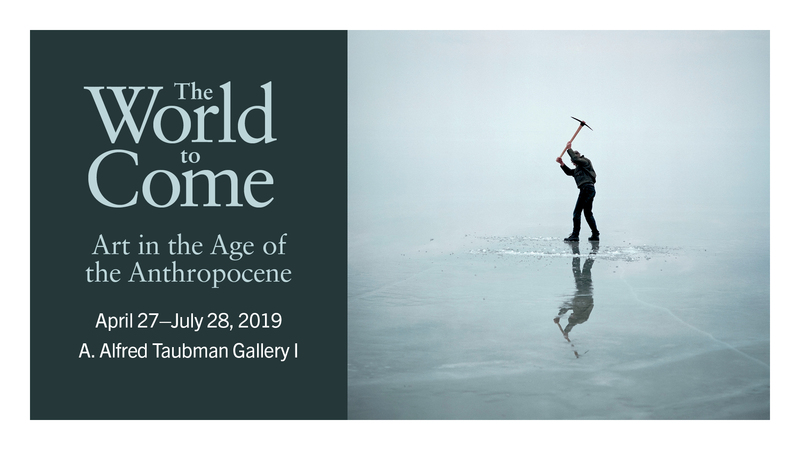 UMMA Assistant Curator of Photography Jennifer Friess will frame the discussion in the context of works in the exhibition The World to Come: Art in the Age of the Anthropocene, which explores the negative impact of human activity on the planet. This program is the second of a two-part series focusing on food sustainability, access, and justice. The second program, "Feed Lots and our Industrialized Food System" takes place on July 14. Refreshments will be served in the new UMMA Cafe following the program. The World to Come: Art in the Age of the Anthropocene awakens us to the physical and social effects of the Anthropocene, a much-debated term used to define a new geological epoch shaped by human activity. Structured around ecological issues, the exhibition presents photography, video, and sculpture that address subjects and themes related to raw materials, disasters, consumption, loss, and justice. Join an UMMA docent tour to explore how the international artists in this exhibition respond to dire global and local circumstances with resistance and imagination—sustaining an openness, wonder, and curiosity about the world to come. ​Literati’s Eco Book Club goes on the road. Join us at UMMA on the occasion of the Museum’s exhibition of The World to Come: Art in the Age of the Anthropocene. This thought-provoking exhibition grapples with the negative impact of human activity on the planet through the art of more than thirty-five international artists such as Sammy Baloji, Liu Bolin, Dana Levy, Mary Mattingly, Pedro Neves Marques, Gabriel Orozco, Trevor Paglen, and Thomas Struth. Discussions will be led by Literati’s Eco Book Club facilitator Alison Swan. Alison Swan’s poems and essays have appeared in many places, including her poetry chapbooks Before the Snow Moon and Dog Heart, and the recent award-winning anthologies Elemental: A Collection of Michigan Creative Nonfiction, Ghost Fishing: An Eco-Justice Poetry Anthology, and Here: Women Writing on the Upper Peninsula. Her anthology Fresh Water: Women Writing on the Great Lakes is a Michigan Notable Book. A Mesa Refuge alum and a Petoskey Prize for Grassroots Environmental Leadership co-winner, Swan teaches literature and writing in the Institute of the Environment and Sustainability at Western Michigan University and lives in Ann Arbor. Sunday, June 2, 3 p.m. Great Tide Rising: Towards Clarity and Moral Courage in a Time of Planetary Change by Kathleen Dean Moore. Join UMMA’s award-winning docents for a tour of The World to Come: Art in the Age of the Anthropocene at 2 p.m.
Sunday, July 28, 3 p.m. Braiding Sweetgrass by Robin Wall Kimmerer. Preceding the Book Club, join curator Jennifer Friess and Education Outreach Program Coordinator Grace VanderVliet at 2 p.m. for “Cross Pollination," a tour of the environmental themes in three exhibitions at UMMA: The World to Come: Art in the Age of the Anthropocene; The Power Family Program for Inuit Art: Tillirnanngittuq​; and​ Jason DeMarte: Garden of Artificial Delights. Participants are welcome to join us for one or both of the Book Club meetings. Books will be available for sale at Literati Bookstore as well as after book club meetings at UMMA, at a 15% book club discount. The exhibition Jason DeMarte: Garden of Artificial Delights invites viewers to journey into a visually stunning, though deeply unsettling, world in which flowers, birds, and insects are doused in glossy cake icing while candy rains down from ominous skies. In this immersive installation of photographs and wallpaper, Michigan-based photographer Jason DeMarte assembles hyperreal images of local wildlife and plantlife deluged by sugary foodstuffs. Join the artist and UMMA Assistant Curator of Photography Jennifer Friess for a conversation about the layers of meaning in these enticing yet enigmatic works. The Six Senses of Buddhism is an exhibition of works from UMMA’s collection associated with different types of Japanese Buddhism. Local artist and long-time UMMA docent Susan Clinthorne will lead families on an exploration of the exhibition followed by a hands-on workshop. Designed for families with children ages 6 and up to experience art together. Storytime at the Museum promotes art enjoyment for our youngest patrons. We read a story in the galleries and include a fun, age-appropriate, hands-on activity related to it. This month, children ages three to six are invited to join us as we celebrate Japan Week reading One Leaf Rides the Wind, Counting in a Japanese Garden. Parents must accompany children. Siblings are welcome to join the group. Meet in front of the UMMA Store. UMMA and the Ann Arbor Summer Festival (A2SF) welcome artist Mary Mattingly to Ann Arbor for a three-day residency, June 27–30. Mattingly, whose photograph, Life of Objects, is featured in UMMA’s exhibition The World to Come: Art in the Age of the Anthropocene, is deeply concerned with our relationships to objects—where they come from, where they go, their implications for humans, and their impact on the environment. The centerpiece of the residency is a large-scale public art project titled Objects in the Round, in the Annex tent at Top of the Park on Ingalls Mall where festivalgoers will build a miniature landscape with Mattingly that explores relationships with objects, built landscapes, and habits of consumption. To kick off her residency, Mattingly will be joined by thought leaders from U-M and beyond including, A2SF's James Carter, UMMA curator Jennifer Friess, arts curator of the U-M Institute for the Humanities Amanda Krugliak, director of the Huron River Watershed Council Laura Rubin, Detroit-based interdisciplinary artist Sacramento Knoxx, independent film director and producer Diane Cheklich, and Christy Bieber, co-director of The Aadizookaan, for a discussion on the possibilities and challenges for artists and arts organizations creating and presenting artwork that explores sustainability and the environment. The Long Table format was born from director and scholar Lois Weaver’s exercise on participation and public engagement. Its aim is to foster civic-minded discussions on ideas and questions surrounding the city's creative culture. It’s a dinner table atmosphere encouraging participants to ask questions, make statements, leave comments, or openly sit, listen, and watch. 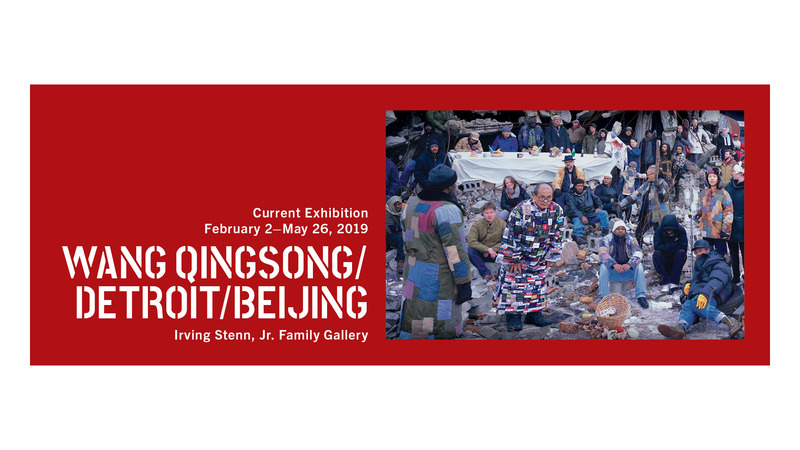 For more information about additional programs for Mattingly's residency and related to The World to Come exhibition, click here. Mattingly will lead a large-scale collaborative public art project over three evenings. Come build a miniature landscape with Mattingly and other festival goers and explore your own relationship to objects, built landscapes, and habits of consumption. Bring a household item or object you are willing to part with to contribute to the project. Objects in the Round is an exclusive opportunity for every generation to engage with arts and ecology. Thursday, June 27 - Opening 7-10 p.m.
Friday & Saturday, June 28 & 29 - Workshops and Construction 5-10 p.m.
Sunday, June 30 - Deconstruction/Gathering 5-8 p.m. Artist Mary Mattingly is deeply concerned with our relationships to objects—where they come from, where they go, their implications for humans, and their impact on the environment. Mattingly asks us to consider how consumerist societies enact histories of exploitation in the creation of objects by mapping complex supply chains from mineral mines to store shelves. Returning to Michigan after a 2016 residency and exhibition at the U-M Institute for Humanities, during which she travelled to the Upper Peninsula’s cobalt mines, engaged U-M students (including UMMA’s Student Engagement Council) in tracing source materials, and surfaced stories to create a time capsule, Mattingly will share how Michigan continues to inform her work. Mattingly’s photograph, Life of Objects, is on view in UMMA’s presentation of the exhibition The World to Come: Art in the Age of the Anthropocene (April 27–July 28, 2019), which explores the impact of human activity on our planet through art. Join Mattingly, along with Jennifer M. Friess, UMMA Assistant Curator of Photography, and Amanda Krugliak, Arts Curator at the U-M Institute for the Humanities for a look in the gallery, followed by a discussion of the complex terrain Mattingly’s artistic practice explores. Immediately following this UMMA program, Mattingly and the public will disassemble the project from 5–8 p.m. Stop by the Institute for the Humanities, 202 S. Thayer, to see the time capsule from Mattingly’s 2016 residency on your way to Top of the Park. 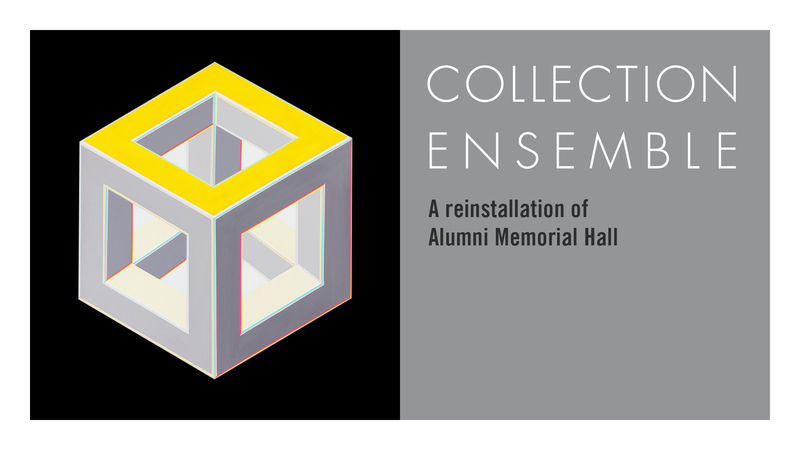 This program is part of a 3-day, June 27–30, residency with the Ann Arbor Summer Festival and UMMA during which Mattingly will lead a large-scale public art project, titled Objects in the Round, in the Annex tent at Top of the Park on Ingalls Mall. Come build a miniature landscape with Mattingly and other festival goers and explore your own relationship to objects, built landscapes, and habits of consumption. Mattingly will lead Objects in the Round, a large-scale collaborative public art project over three evenings in which Mattingly and other festival goers and build and explore together. On Sunday, June 30, participants are invited to deconstruct the installation. Following the deconstruction, join the artist in the Grove for a gathering. Kathy Sample, co-founder of Argus Farm Stop, and Dave Steinhauser of Steinhauser Farm in Ann Arbor will discuss small-scale farming, food processing, and innovative models for a new kind of farmer’s market. UMMA Assistant Curator of Photography Jennifer Friess will frame the discussion in the context of works in the exhibition The World to Come: Art in the Age of the Anthropocene, which explores the negative impact of human activity on the planet. This program is the second of a two-part series focusing on food sustainability, access, and justice. The first program, "Feeding the World" takes place on May 19. Alison Swan’s poems and essays have appeared in many places, including her poetry chapbooks Before the Snow Moon and Dog Heart, and the recent award-winning anthologies Elemental: A Collection of Michigan Creative Nonfiction, Ghost Fishing: An Eco-Justice Poetry Anthology, and Here: Women Writing on the Upper Peninsula. Her anthology Fresh Water: Women Writing on the Great Lakes is a Michigan Notable Book. A Mesa Refuge alum and a Petoskey Prize for Grassroots Environmental Leadership co-winner, she teaches literature and writing at the Institute of the Environment and Sustainability at Western Michigan University and lives in Ann Arbor. Sunday, July 28, 3 p.m. Braiding Sweetgrass by Robin Wall Kimmerer. Preceding the Book Club, join curator Jennifer Friess and Education Outreach Program Coordinator Grace VanderVliet at 2 p.m. for “Cross Pollination,” a tour of the environmental themes in three exhibitions at UMMA: The World to Come: Art in the Age of the Anthropocene; The Power Family Program for Inuit Art: Tillirnanngittuq​; and​ Jason DeMarte: Garden of Artificial Delights. Make your wedding, reception, or meeting a masterpiece.